This time an Olive with a pink shimmer and green micro glitter particles. I love colors like this, a little smoky, and murky. 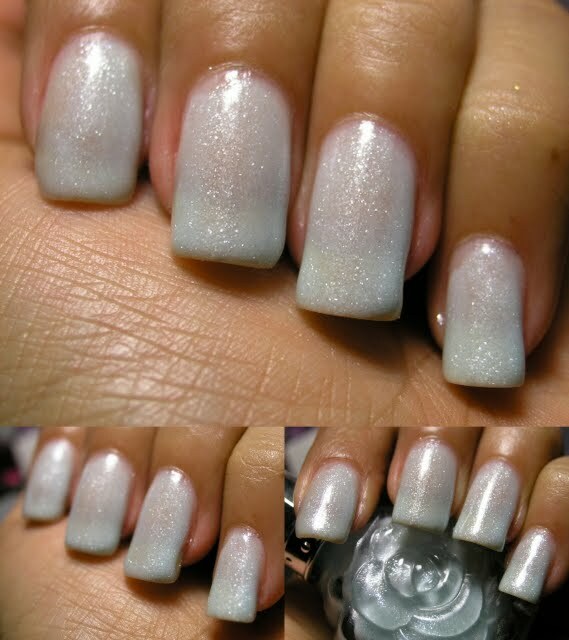 I took off Awakening from my ring finger so you could see how Hypnotize Me looks on its own. 1 coat ove Awakening, and 3 coats on it's own. 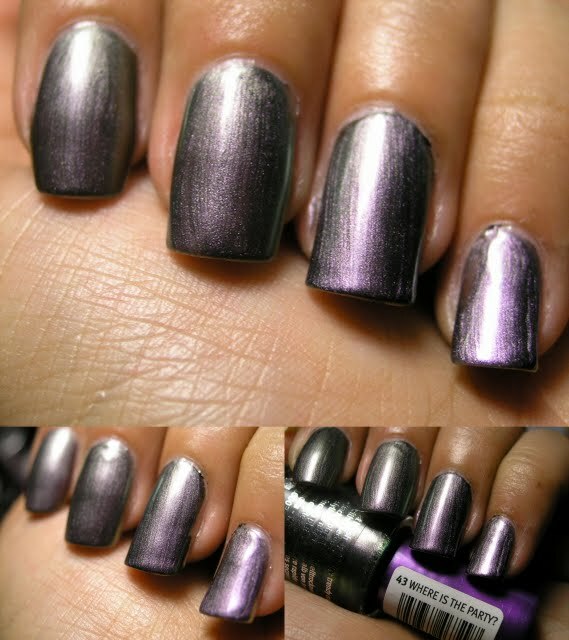 This is awesoe as a layering polish! Look at all that sparkle!!! I am not a green polish lover, especially not army green! 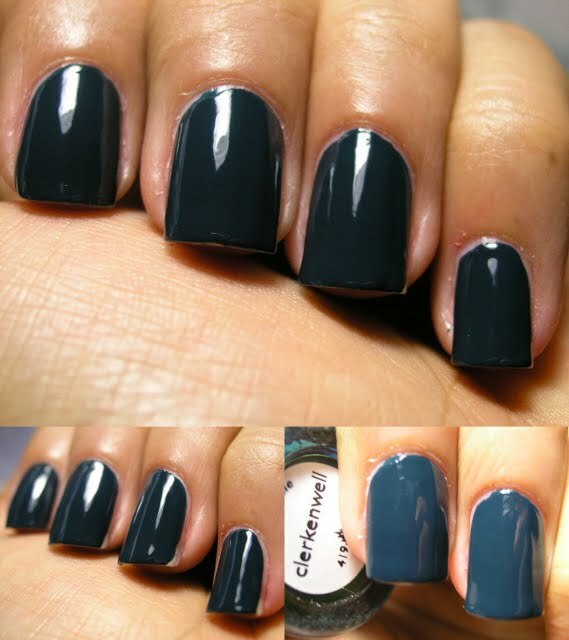 BUT I really like this color! It looks like an Olive. It has a pink shimmer, barely noticeable. 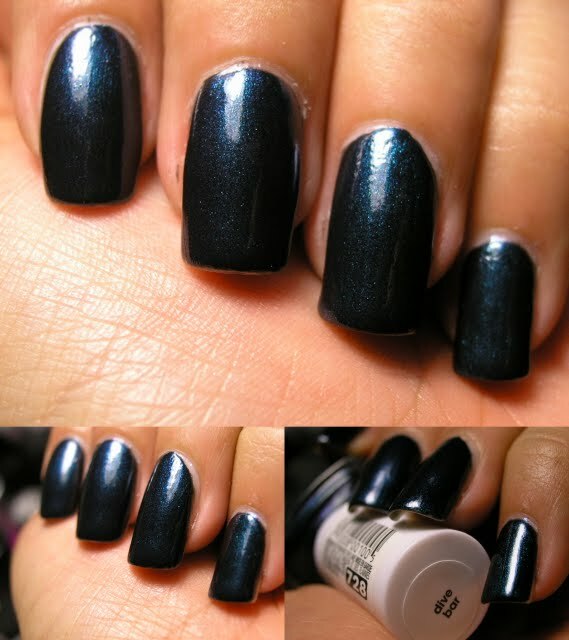 I really like this color, is has a little blue shimmer that make it really special. 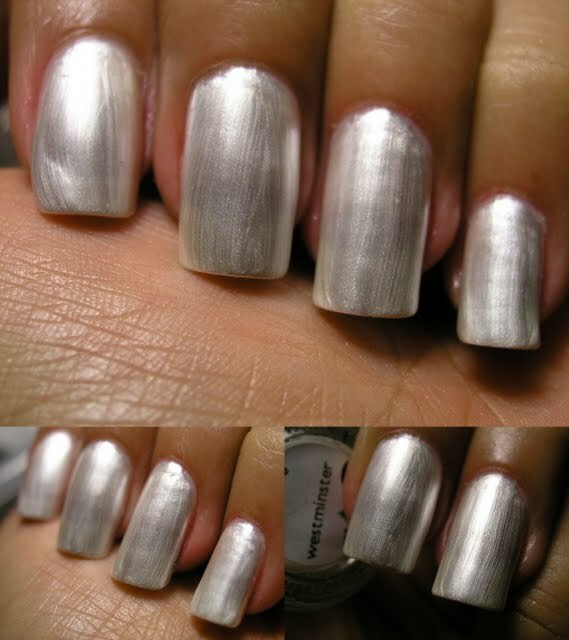 This is the only Nails Inc color that I have been really dissapointed with. A streaky mess! 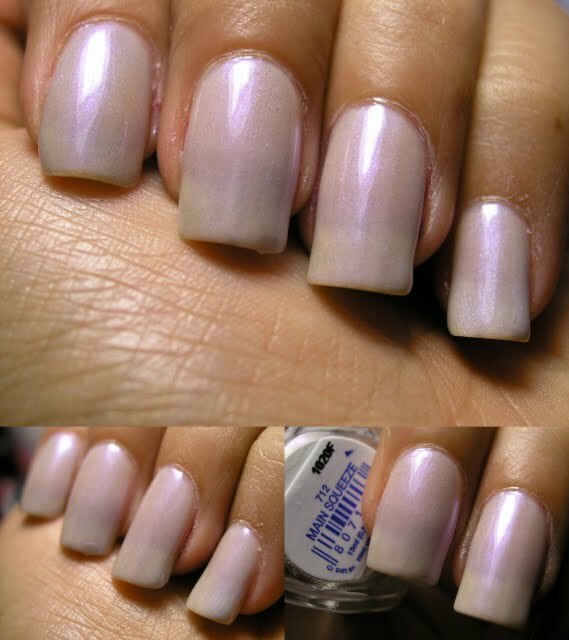 Not even the Matte Top Coat is able to fix it. 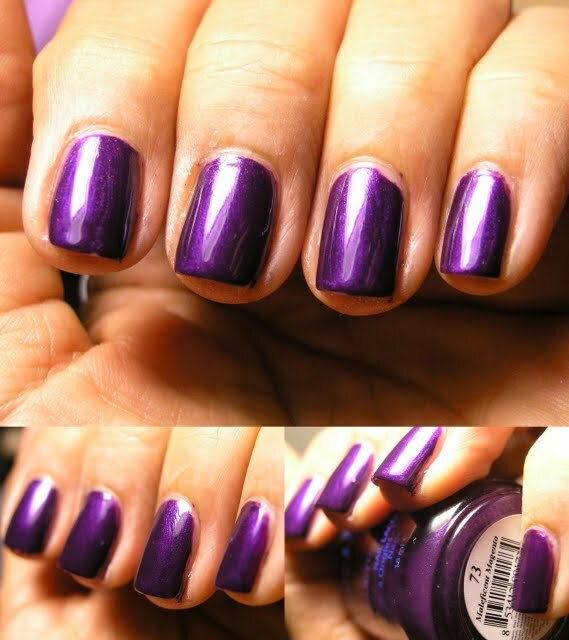 I find it interesting that Westminster is also the name of one of the colors available at your local Sephora store, a lovely pueple. Not available on line. I don't think there is anything creepy in this color. It is great if you are an orange lover. 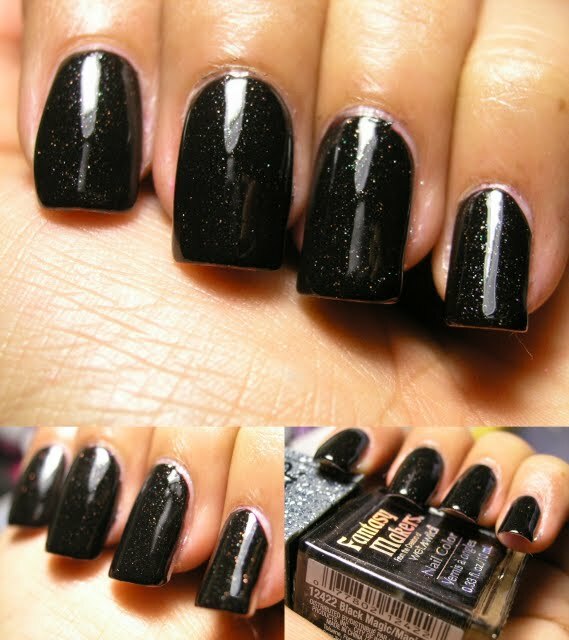 A glitter filled black released for Halloween. 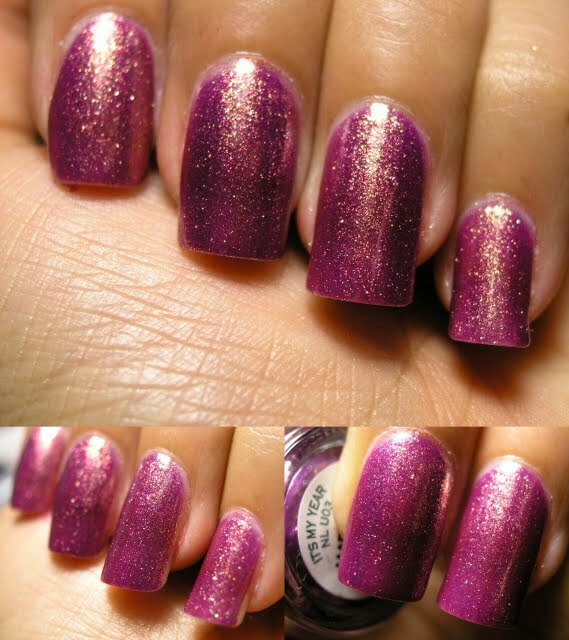 It reminds me of Material Girl Phantom, but Phantom shows more sparkle. This is another giveaway from in Style Magazine, from years ago. I didn't want to split up the set, I think they would all start looking the same. all I can tell you is that it was part of a set. 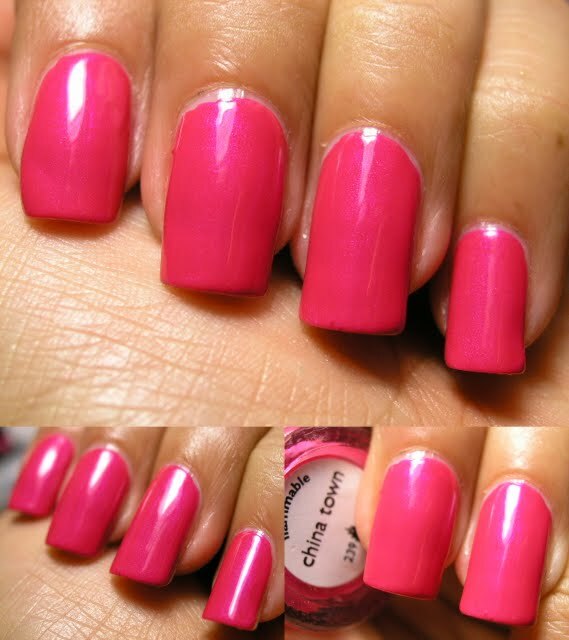 This is one of the new shades that I picked up at Sephora. and then I will show you my Sephora acquisitions. 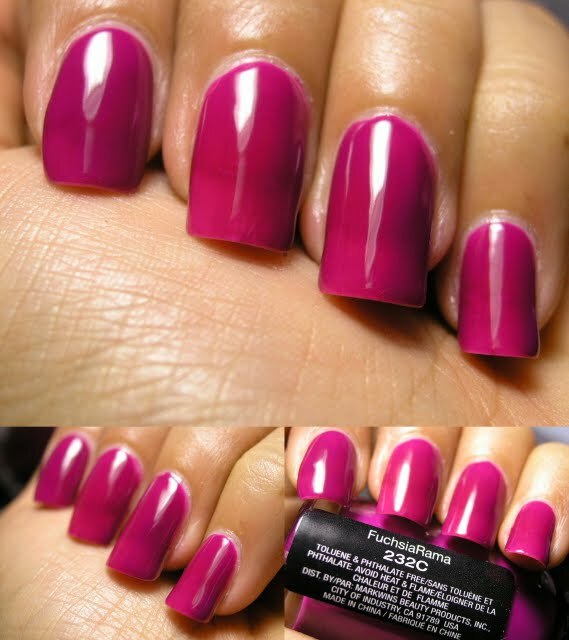 I have heard that this color stains, but I usually use 2 base coats which curtails that a bit. It is a lovely pink, but I can't find any release information for you. It is so glowy and sparkly that my camera didn't want to focus. 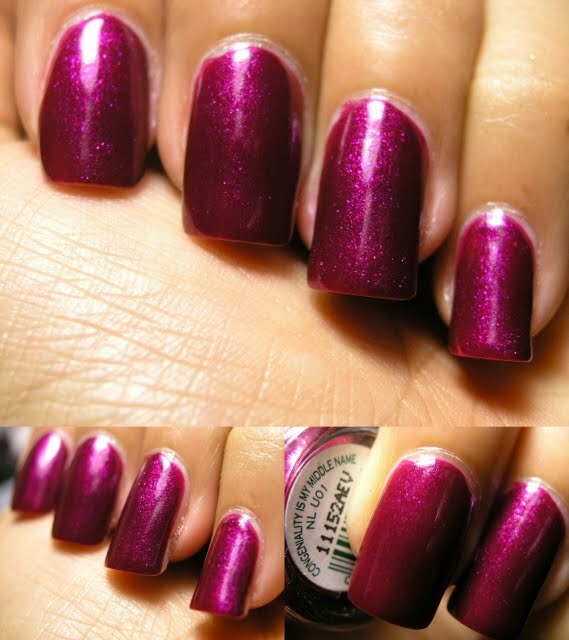 It is a very red toned purple. 3 coats... it could use a 4th. I am introducing my mom fingers!!! I have started giving her a manicure once a week. 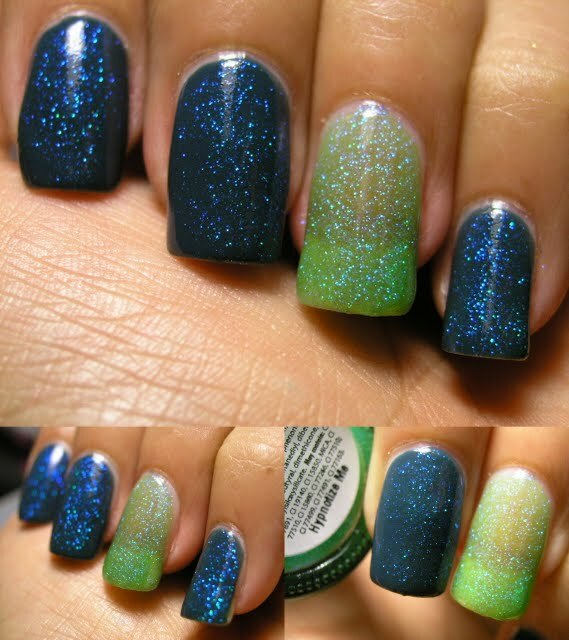 I get to choose the colors =P and get to use her nails on my blog too! This is the last of the Magnetics that I have for now. 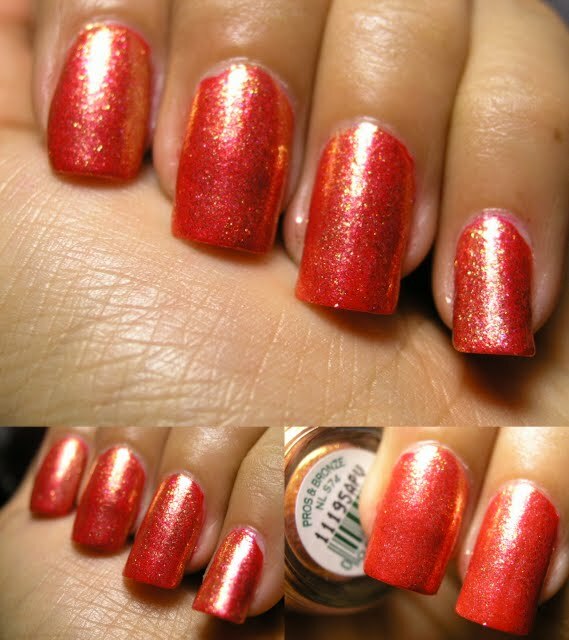 When I first saw these polishes in the bottle they seemed very similar, but on the nails they are very different. 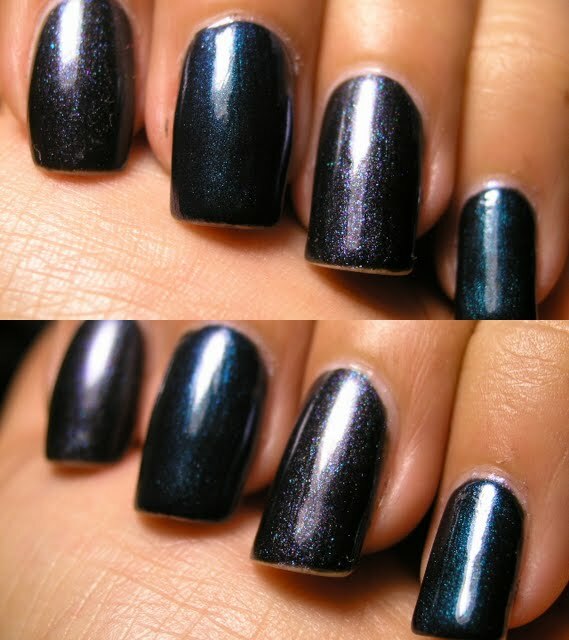 The shimmer in Dive Bar is mainly Teal and much smaller than the shimmer particles in Midnight Blue. The particles in Midnight Blue are teal and pink and blue as well. 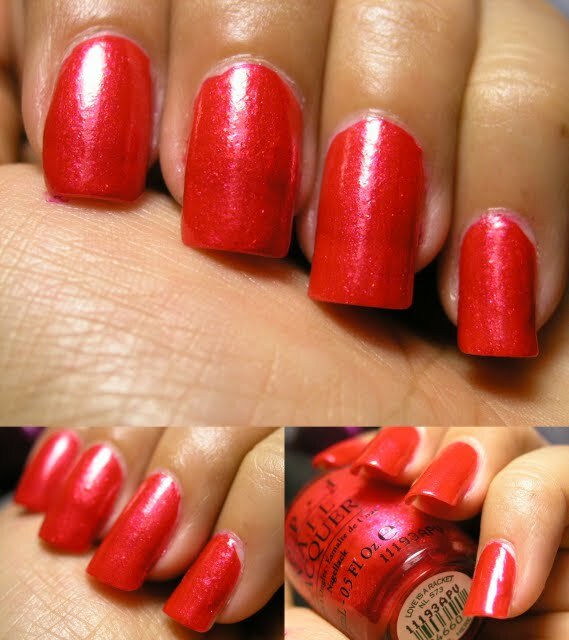 It is more complicated on the nail. 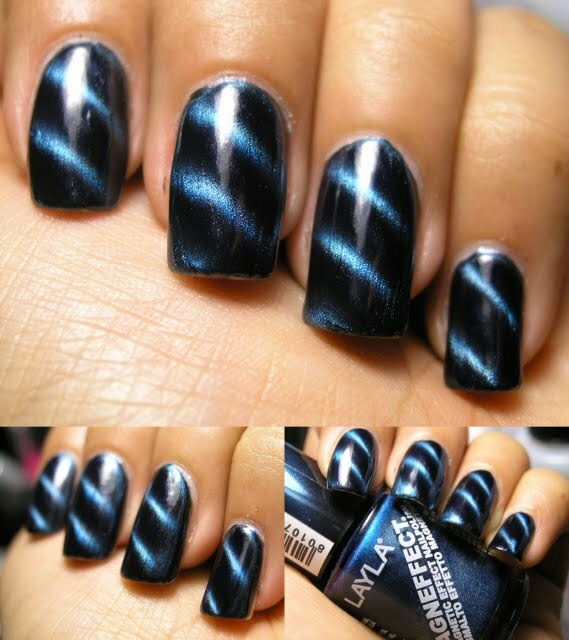 I love magnetic colors, I am going to have to pick some morcolors up. This was only ONE coat, and it completely covered! 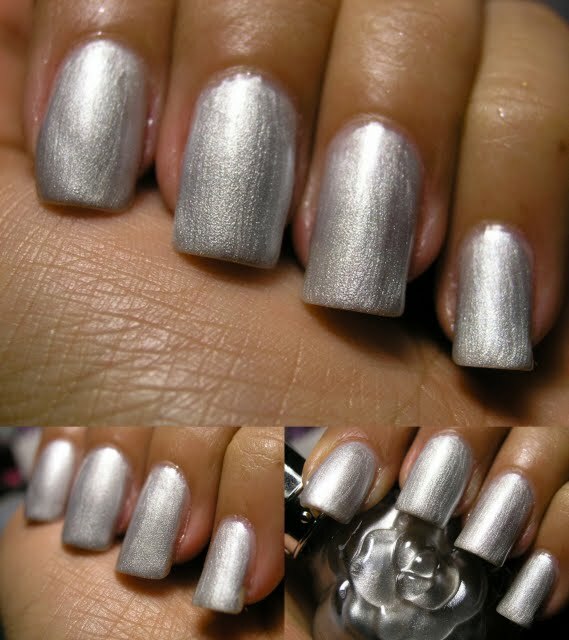 Also I would recommend that you wait a bit before adding your top coat, as it can pull the design. 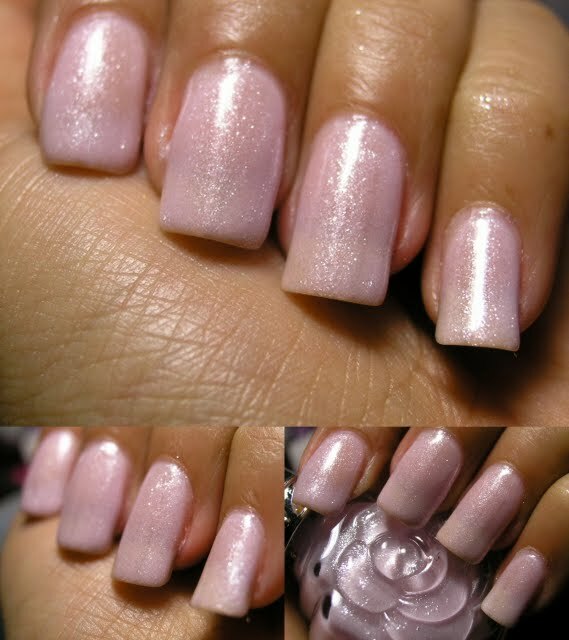 I love this color, it is a little mousy (as my mom calls these type of colors) but very pretty and sparkly! 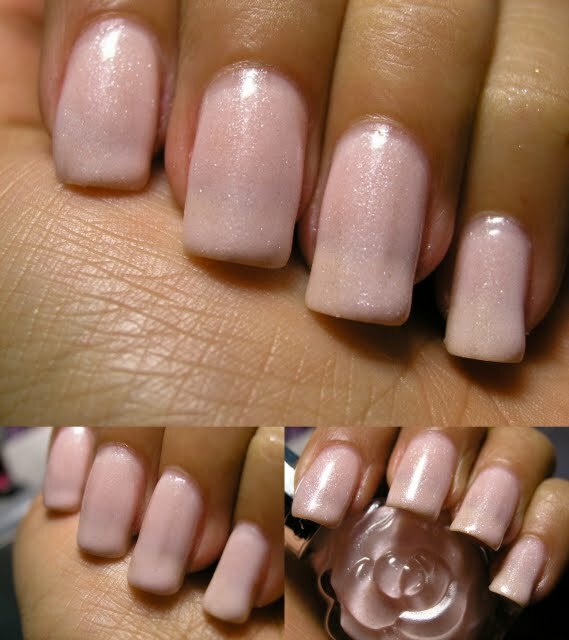 My friend described it as the same color as a little girls jelly sandals, and it is even better in real life! 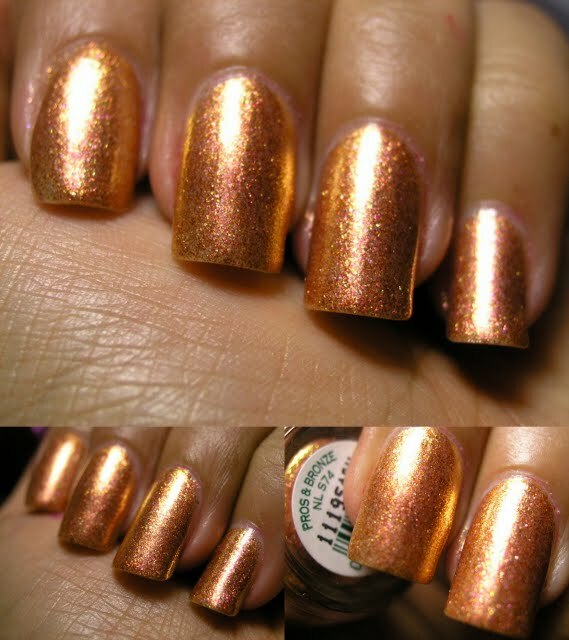 This is one of the color that is part of the Dive Bar collection which is being released in Winter. 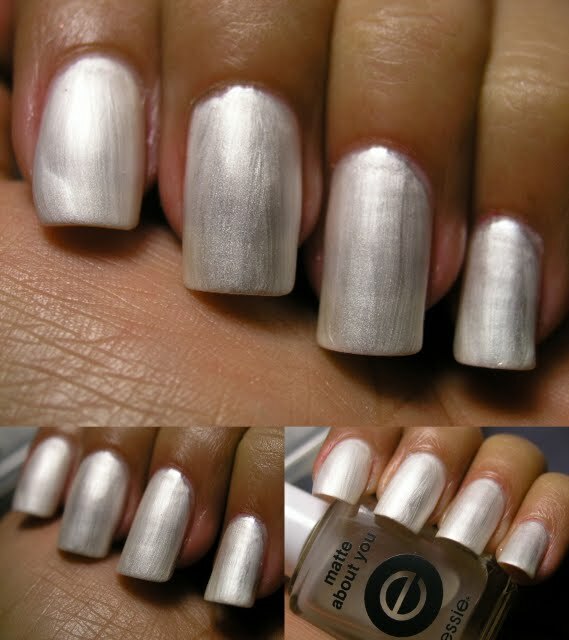 Thiw was one of the colors that was exclusive to Essie's retail line, and now professionals will get a chance to own the shade as well. 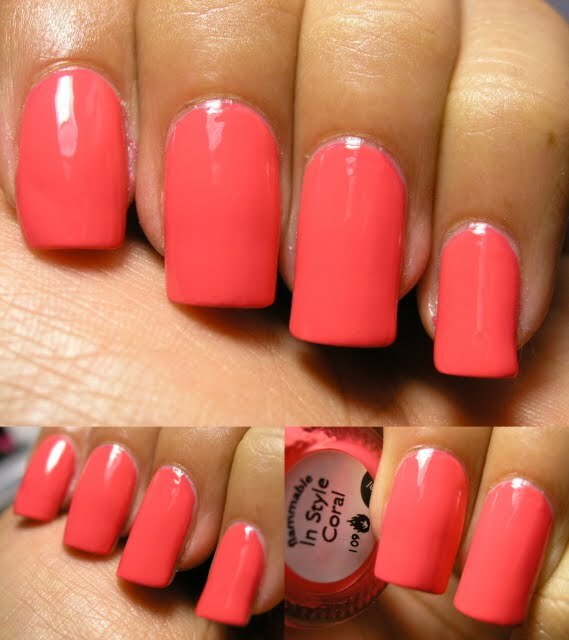 I can't wait to wear this color out! It is SO pretty! This is my favorite of the new glitters!